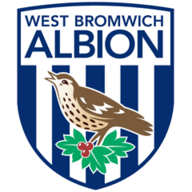 West Brom moved back up to third in the Sky Bet Championship table with a 2-0 victory over troubled Bolton on Monday night. Home supporters turned up early at the University of Bolton Stadium to protest the running of the club, and then kick-off was delayed by a couple of minutes inside the stadium as fans threw tennis balls onto the pitch. It was far from a vintage West Brom display but goals from Jay Rodriguez and substitute Sam Field were enough to see them to victory, and move them to within four points of leaders Leeds, and three behind second-placed Norwich. 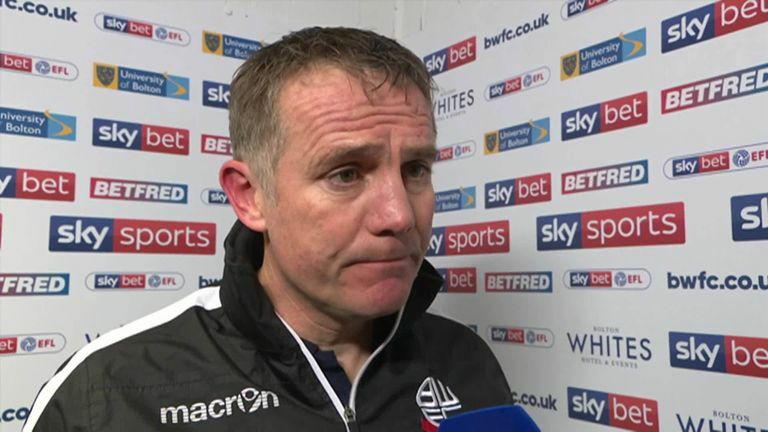 Bolton, meanwhile, remain 23rd in the table, three points off safety. West Brom did not create much in the first half but they still managed to find their way in front on 19 minutes. It came from a free-kick as Chris Brunt found Craig Dawson at the far post, and his looping header was nodded home by Rodriguez on the line, although the striker may have been slightly offside. Bolton only managed to put one decent move together themselves which led to Pawel Olkowski's cross finding Sammy Ameobi on the edge of the area, but his effort was tipped over the bar by Sam Johnstone. 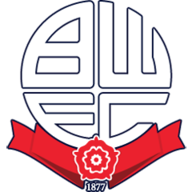 Bolton made four changes as Clayton Donaldson, Jack Hobbs, Andrew Taylor and Gary O'Neil came into the side, while West Brom were unchanged. The Trotters improved in the second half and dominated most of the play, but largely failed to create anything to test Johnstone. West Brom made them pay with 15 minutes to go as Rodriguez's ball found Field thanks to a smart dummy by Dwight Gayle, and the 20-year-old midfielder poked the ball low past Ben Alnwick. He may only be 18 but Harper plays like a midfielder beyond his years. Darren Moore is clearly a fan having helped bring him through the academy system himself, and now he is repaying his faith in the first team. Phil Parkinson: "We are disappointed we haven't got something from the game. The first goal was disappointing from our point of view because we should have dealt with the header better at the back stick, but it was a great header across, and the second goal was a bit of quality. "I thought a lot of what we did was good and we restricted them to very little, but sometimes the difference is the final-third quality, and we couldn't find that tonight." 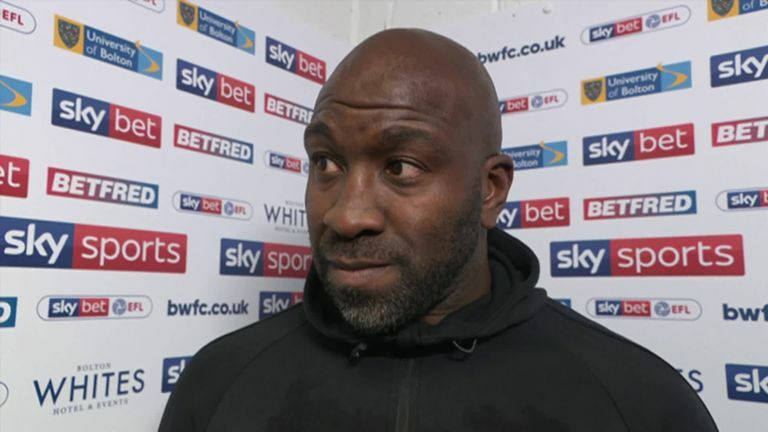 Darren Moore: "It's very satisfying because it is difficult to come here and they are a hard team to crack. To put in an away-day performance like that is pleasing and rewarding. "You're not going to get given anything to you easily here. We knew we had to get first contact, pick up second balls and try to play and work to our patterns, and the players did that very well." Both sides take a brief break from the Sky Bet Championship this weekend due to involvement in the fourth round of the FA Cup. 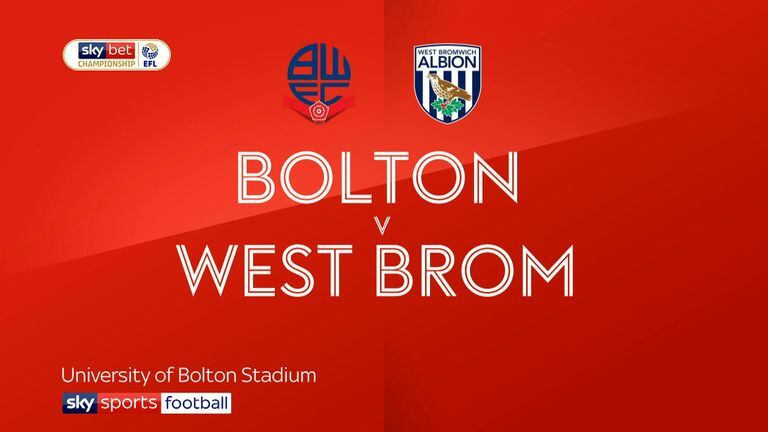 Bolton head to Bristol City on Friday night, while West Brom travel to Brighton on Saturday.